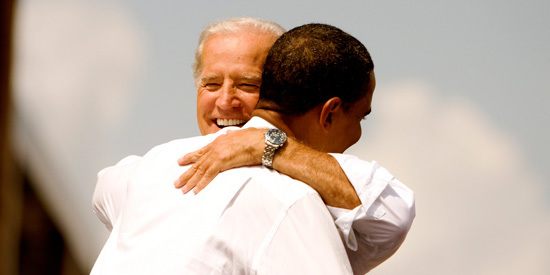 The Democratic presidential contender Barack Obama has chosen Joe Biden as his running mate and Vice President. But how green is really Joe Biden? Well, it seems he is green enough for the League of Conservation Voters (LCV) to applaud Barack Obama's choice and to hail Joe Biden in regards to his environmental records. "With a lifetime LCV environmental score of 83%, Joe Biden recognizes that ending our addiction to oil is vital to our national security," LCV President Gene Karpinski said. "Senator Biden is a long-time leader on key energy and environmental issues, and the members of LCV enthusiastically support Senator Obamaâ€™s choice." The League of Conservation Voters also says that Obama's Energy Plan for America "is the most substantive, comprehensive plan ever put forward by a nominee for President," and that Biden's "progressive energy stance" will help to boost Obama's "visionary plan." "They will usher in a new era of environmental leadership," Gene Karpinski said. Image credit: Barack Obama @ Flickr. Image licensed under a Creative-Commons Attribution-Noncommercial-Share Alike license. It's amazing to consider that after 8 years of reality-denying, myopic policies, we may soon actually have a government that not only understands that there is indeed a problem but believes government can help fix it. I you believe that the next president and VP are going to fix anything, then you are crazy. They only way we are going to have change in this country will be to vote out the current members of Congress and vote in people who will exercise a little backbone and listen to their people and not vote for some lobbyist. If you dont like the way things are going, stop complaining and start using that time to write congress. Once you have done that, do it again and again until they change their ways or prove to the public that they dont want the job. It is time that WE THE PEOPLE take back our country.